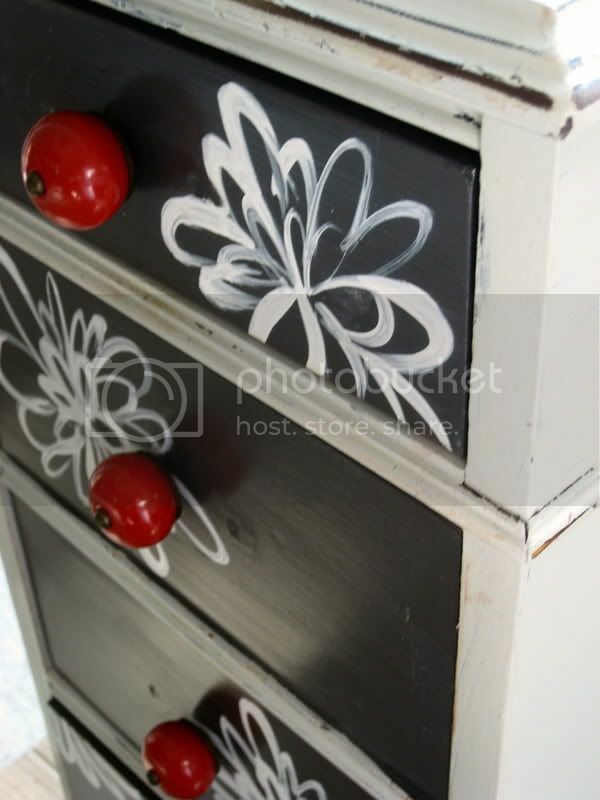 i painted it in a distressed greyish color, then did the drawers a charcoal with hand-painted white flowers. 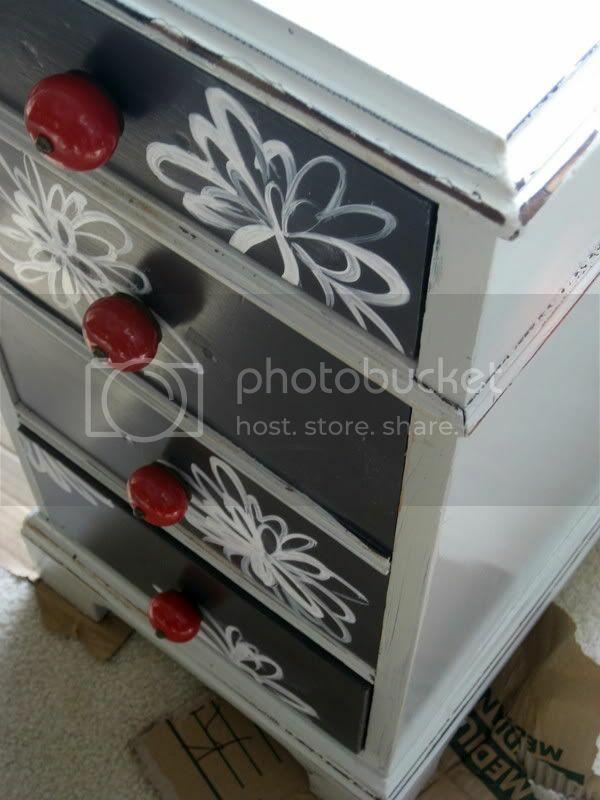 we picked out the cute red knobs, and ta-da! 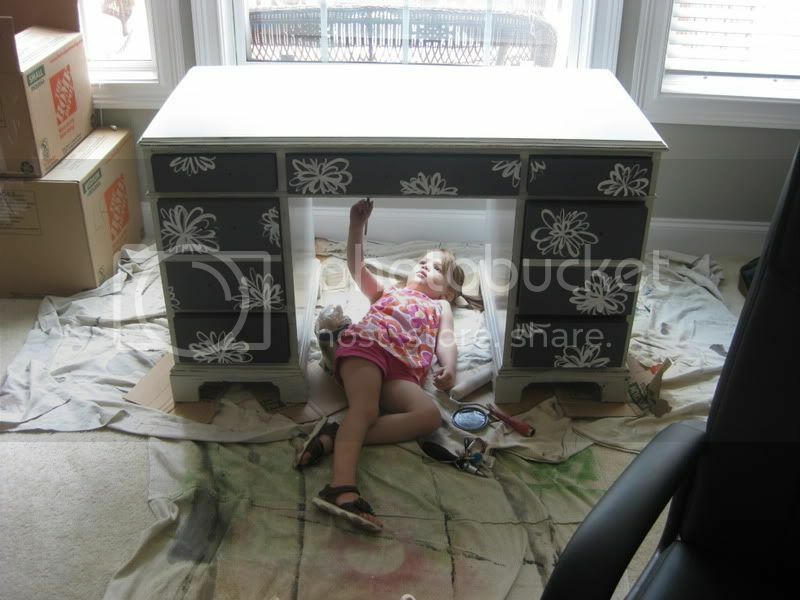 desk makeover. 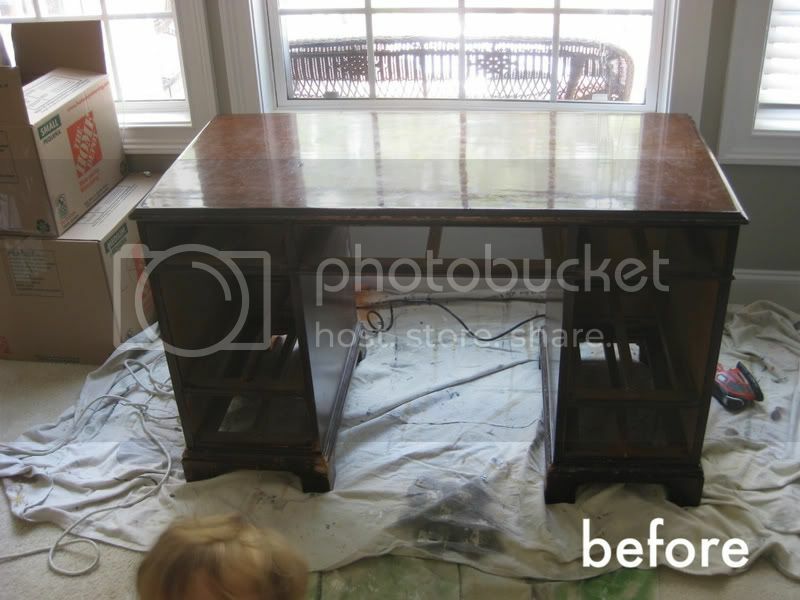 i will go back and grab a few photos once everything is nice and cured, and she can put a lamp, etc, on it, but i thought i would share the after shots with you guys for now. 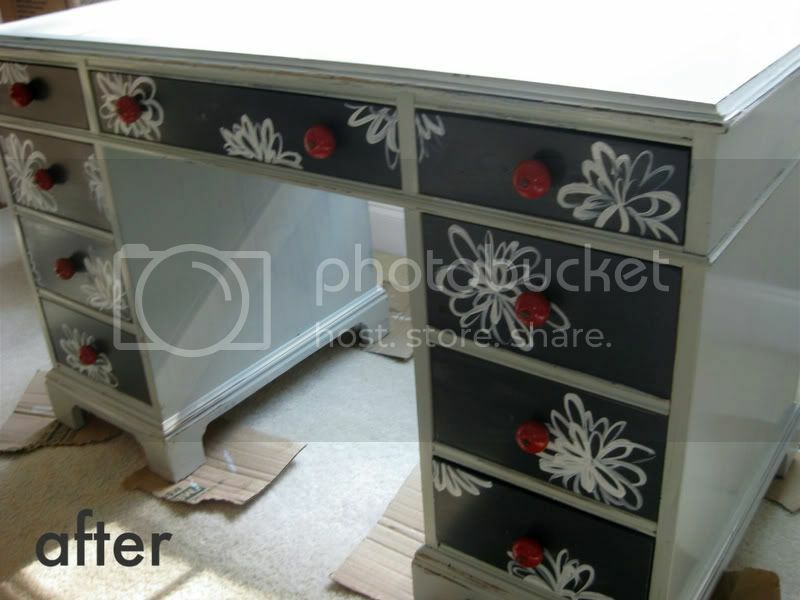 I love the red knobs on the black drawers. Such a fun design! sorry, I don't know how to make it fancy! aw, thanks jen! i'm going to check it out! Okay, I'm a total dork and didn't see that the deadline for applying already passed. You should try anyway, your stuff is so great! grey table found a home. accent door, so to speak. i'm good at finding weird things to buy.